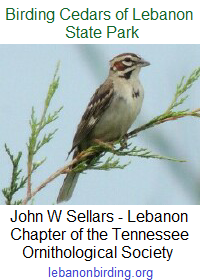 The Friends of Cedars of Lebanon State Park will meet on Saturday morning, 30 March 2019 at 10:00 AM at the Sadie Ford Historic Farm. The Sadie Ford Historic Farm is located across Highway 231 (and about 500 feet south of) the entrance to Cedars of Lebanon State Park. If you love Cedar Forest and want to help make it even better for current and future generations, please join us on Saturday, March 30.